When people look back on their lives, they often wish they had done things differently. They wish they had not had to amass such debts, especially in paying for education. They wish one particular relationship had not ended, or that they had been with someone else. They wish they had become a parent. They wish they had said goodbye to their loved ones properly before they died. And they wish that they had not had to worry so much through so much of their life about so many issues that they later realized were quite trivial. This book is based on a few ideas that began with the findings of one academic paper published a decade ago, using data from a decade before that. Those findings are being extrapolated forwards, and I have thrown in many ideas that are buzzing around academia, in books and articles, and reported in newspapers, magazines and elsewhere on the Internet. In all cases I try to give the most accessible source – one that is not hidden behind a paywall – in the endnotes to the book. Most ideas in the book are not polished ideas and will need rethinking before coming to fruition. Inevitably, some will turn out to be stupid. What is certain is that there is no shortage of ideas and choices. 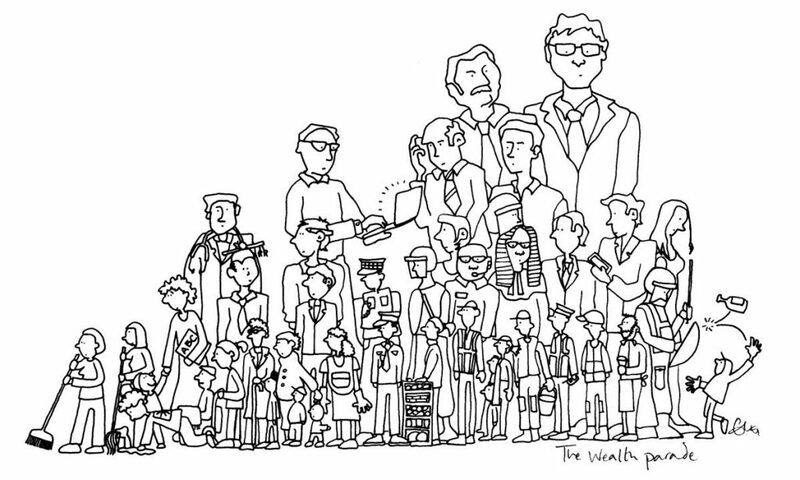 But before we adopt any ideas, we can all benefit from stepping back and asking what matters most – and why we appear to have forgotten to do this more in the countries, like the UK and the US, that are the most unequal. Then, and only then, can we ask what we should do about it. Danny Dorling, 22nd March, 2016 on giving Radstats a free digital copy of his book, A Better Politics: How Government Can Make Us Happier. Following the publication of the two general competition winners in the last issue of Radical Statistics, this issue includes the two winners of the 2014 student essay competition. The winner, Clara Musto, embarks on a critical analysis of the ‘gateway hypothesis’, i.e. cannabis as a stepping stone drug. She does so by focusing on Uruguay, where cannabis was recently decriminalised. In her essay, Geraldine Clark, who came second place in the student competition, focuses on higher education and more specifically the expectations and aspirations of non-traditional students at a post-1992 University. The essay provides new knowledge about the role of habitus and capital in explaining these students’ expectations and aspirations and adds to our understanding of these in relation to the widening participation across social classes and socioeconomic backgrounds in the UK. The theme of widening participation in UK universities is continued by Vikki Boliver. Vikki examines the recent Russell Group publication Opening Doors and shows that the claims made here about widening access in our most elite universities do not stand up to scrutiny. Rather these institutions remain unrepresentative and this has changed little over the last decade. In his article John Veit-Wilson unpicks the claims of UK Chancellor, George Osborne, to be introducing a ‘living wage’. John highlights the differences between this fictitious ‘living wage’ and the living wage as calculated on the basis of a decency level. The article demonstrates problems relating to measurement ownership and difficulties that emerge when the naming of a measure becomes political. Included in this issue is also a set of reports from the 2015 Radical Statistics Conference that was themed Good Data, Good Policy. 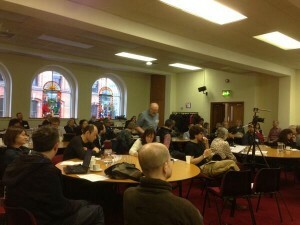 These include a conference report from the organisers, two of the concluding reflections, by Ludi Simpson and Alison Macfarlane, which address the past and future of Radical Statistics, and a workshop report by Ludi Simpson and Nissa Finney in which they imagine what a community agenda around race statistics would look like. Please email RS2020@radstats.org.uk if you would like to come for the meeting.There will also be evening social events open to all in the same venue. The Radical Statistics 2015 conference triggered several suggestions regarding future RadStats publications. A followup discussion took place in October. View the report of this meeting and the papers discussed. The proposals have now been distilled down to just two. Click on links for detail. Future developments will be posted on the Activity page of this website. Posted on behalf of John Bibby, Jeff Evans, Humphrey Southall and Rachel Cohen. change, with the far larger part due to the ageing of the baby boom cohort. a salutary reminder of the social uncertainty that data retain. data quality, fidelity of intervention, and threats to validity. the team for the past two years. themed set of articles please get in touch with us at editors @ radstats.org.uk. The judges have chosen the following winners of the 2014 Critical Essay Competition which closed in July with decisions in Oct.
Two prizes each were awarded in the Student and the Open category. The winning essays will appear in an upcoming issue of Radical Statistics in 2015. 2nd: Geraldine Clark – Yearning to Earn or Yearning To Learn? 1st: Elisabeth Garrat – The rise in UK foodbanks: What can statistics tell us about the current landscape of food insecurity and food aid in the UK? The award for first prize is £50 and the second of £30, both in book vouchers. Also, many thanks to the judges for making the 2014 Radstats Critical Essay Competition a success. CALLING EVERYONE to enter the Radical Statistics Critical Essay Competition! Plus 1 year subscription membership to Radical Statistics (RadStats). All winning essays will be published in the RadStats newsletter/journal. Please tell students and others and post this flyer in your department or community. Your essay could address a current social research policy/question with critical use & interpretation of relevant data sources, or be a critique of statistical methodology in an applied context. Prizes will be awarded on the basis of readability, clear presentation of statistical material, critical perspective & convincing argument. Essays do not necessarily have to involve statistical modelling, only critical use & interpretation of relevant data sources. Winning essays will be featured on the website & published in a special issue of Radical Statistics. Enter by sending your essay, including full name, email & postal address, to essay@radstats.org.uk. * Note: if entering in the student category, please provide university & details of essay origin when submitting (ie module details for coursework essays or whether the essay stems from an undergraduate, masters or PhD thesis). In 2012 ‘Reduced Statistics’, a working group from Radical Statistics, took a detailed look at cuts to official statistics under the coalition since 2010, and what they might mean in local government, housing, health and education. This led to a draft report as well as a debate with the UK Statistics Authority and ONS at the Royal Statistical’s Society’s conference. In a recent blog post and seminar at the London School of Economics, Alex Fenton looks at the latest information from the UK Statistics Authority on official statistics, and considers what it means in the light of the government’s proclaimed enthusiasm for “open data” and “transparency”. Is Britain Pulling Apart? Today! Radical Statistics is gathering in Manchester today to take a fresh look at inequality in Britain for the 2014 conference, Is Britain Pulling Apart? Look on twitter for #Radstats to follow along. Presentations will be collected, proceedings are being filmed, and of course there will be a special issue of the journal. If any delegate would like to contribute a blog post please get in touch with me at web-editor@radstats.org.uk. Is the UK too complacent on drinking water safety? On 7 November, Water Minister Dan Rogerson argued in response to a written question from Chris Ruane, Labour MP for the Vale of Clwyd, that water filtering within households is unnecessary, as monitoring by drinking water regulators shows tap water quality in the UK is “equivalent to the best in Europe”. (I’m not aware of a data series that would underpin this claim). On 9 December, a statistical study by engineer Marc Edwards was published showing that cheap water filters certified to remove lead, together with advice to run taps and consider bottled water in older buildings, prevented hundreds of miscarriages in Washington DC in 2004-2006, when a change in water treatment caused a city wide spike in lead in water levels (links below). The paper also examines a miscarriage cluster in an office undergoing renovation, where lead in water from solder on copper pipes may have been wrongly excluded as a factor, because water was tested too late. The study compared fetal death rates and birth rates in Washington DC against a similar sized city with the same water supply (Baltimore), and the US as a whole, before, during and after two incidents when lead “rust” from lead pipes and from solder on copper pipes was disturbed. The first lead spike was caused by a change in disinfection chemicals, the second by attempts to solve the first problem by replacing sections of lead pipe work. Appropriate domestic water filters can reduce chlorination by-products present in tap water from chemical disinfection, together with the herbicides, other farm chemicals and pharmaceutical residues present in some river water (but not in water from boreholes favoured for bottled supplies). Filtering tap water was recommended in 2010 by the US President’s Cancer Panel, along with washing fruit and vegetables to remove pesticide residues and avoiding charred meat. Concerned over the known toxicity of disinfection by-products, the Netherlands has abandoned the use of chlorine in a water safety system which prioritizes choosing the safest raw water sources for drinking water (link below). Edwards’ statistical analysis shows that the US change in disinfection practice – initiated and persisted with in an attempt to reduce miscarriages from chlorination byproducts – did not achieve its health goal. Possibly the by-products of the replacement disinfectant regime, though less studied, are equally noxious. A troubling pattern for regulatory changes. Edwards’ key recommendations – supported by his laboratory test simulating lead release from solder in response to physical disturbance – are that pregnant women should always receive advice to use filters, flushing or bottled water in older premises, and that everyone should receive warnings and take precautions when plumbing is disturbed. Currently no such advice is issued in the UK, despite a predominance of older properties (lead free solder was only available from the late ‘80s), on-going lead pipe replacement to meet a stricter lead in water standard from the end of this year, and programmes to retrofit water meters. It would be interesting to review fetal death rate trends within the Netherlands, to see whether the package of changes they made to how river water was treated (areas with better water sources never used chlorination) measurably improved maternal health. There is no easy switch to the Dutch method – the need for residual disinfection here goes hand in hand with the c. 25% leakage rate from poorly maintained pipework (vs. 4% for the Netherlands). Bottled water and home/office filtration are the policy options currently available in the UK to safeguard fetal health.